We’ve looked deep into the universe and almost at the point where we are getting closer to the birth of it. 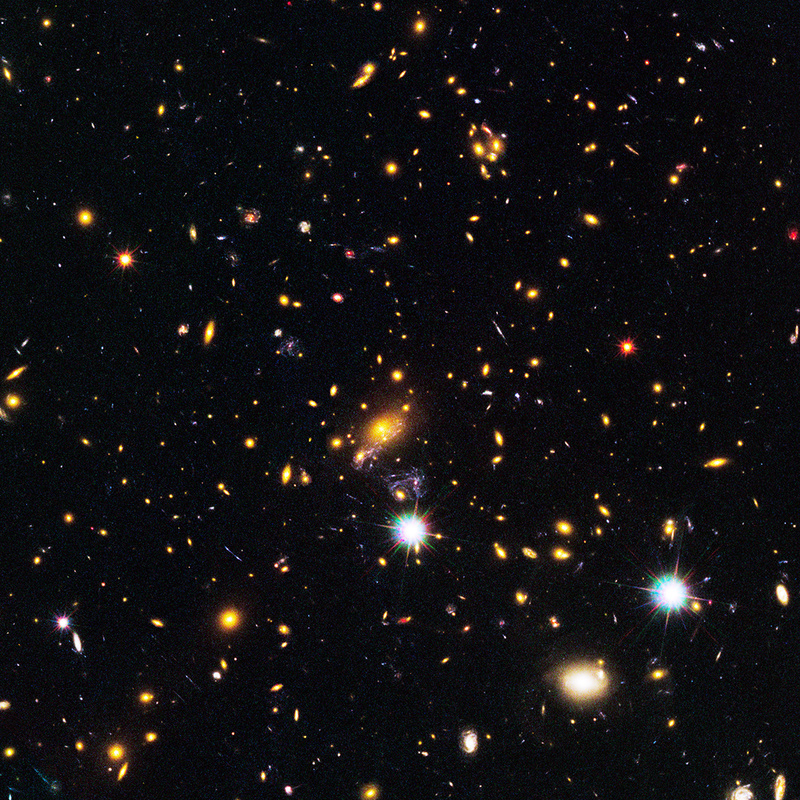 NASA’s Hubble, Spitzer and Chandra telescopes are teaming up to look deeper into the universe. Using the universe’s “zoom lenses” found in space these observatories should be able to uncover galaxies that are 100 times fainter than what we would normally see with these telescopes on their own. In a collaborative team effort called the Frontier Fields astronomers will record and observe data for the next three years. The way they are using the universe as a zoom lens is by using the gravitational fields caused by cluster of galaxies or targeting the most massive amount of matter in the universe. “The Frontier Fields program is exactly what NASA’s great observatories were designed to do; working together to unravel the mysteries of the Universe” said John Grunsfeld, associate administrator for NASA’s Science Mission Directorate in Washington. “Each observatory collects images using different wavelengths of light with the result that we get a much deeper understanding of the underlying physics of these celestial objects.”High resolution Hubble data from this collaborative effort will be used to trace dark matter among the conglomerate of massive structures in the universe. It’s an ambitious project that will surely give us some interesting insights to the great unknown. For more information check out the source here.